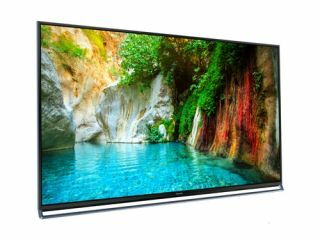 Panasonic unveils new 4K TVs, fresh smart TV platform, multiroom speakers and more | What Hi-Fi? Panasonic’s CES 2014 press conference brought a whole host of new announcements across home entertainment and audio. Predictably, 4K was a big presence, with the new AX800 Series of 4K TVs confirmed alongside four new 1080p LED Series – namely AS680, AS650, AS650 and AS530. The AX800 Series will range from 58in-65in, we’re waiting on confirmation of the screen sizes for the other Series. All will debut Panasonic’s new redesigned Smart TV platform, Life+ Screen. Building on the personal customisation improvements we saw last year with My Home Screen , Panasonic Life+ Screen will learn the preferences of individual users and offer up personalised content recommendations from TV and on demand as soon as the TV is turned on. It also offers improved voice navigation, and an auto wake feature that can wake the TV from sleep when it senses someone in the room, displaying useful information such as time, date and weather – plus personalised content for that user via facial recognition. Three new Blu-ray players were also unveiled – the BDT360 3D Blu-ray player, complete with 4K upscaling, and two regular players, the DMP-BD91 and DMP-BD81 – the BDT360 and BD91 coming with built-in wi-fi. Over on the audio side of things, Panasonic announced its entrance into the multiroom speaker system market, with the SC-ALL series. Using Qualcomm’s AllPlay platform, the new models include the SC-ALL8 and SC-ALL3 wireless speaker systems, and the SH-ALL1C network audio connector, for upgrading an existing speaker system to multi-room. Two new pairs of headphones were unveiled – the RP-HC800 noise-cancelling headphones, featuring 40 hours of noise-cancelling music playback from one AAA battery, and the RP-BTD10 wireless Bluetooth headphones, offering NFC pairing, aptX Bluetooth and the promise of excellent sound quality thanks to the 40mm driver unit. Panasonic’s soundbar range got a refresh with three new models announced, the SC-HTB880, SC-HTB580 and SC-HTB8. All three are super slim and wall mountable, with the flagship model, the SC-HTB880, offering 4K passthrough technology, a separate wireless subwoofer and NFC connectivity. Finally, Panasonic confirmed a new compact stereo system, the SC-HC39. Designed primarily for people listening to music from their smartphones, it offers NFC connectivity and sound tweaks that will maximise and improve the sound quality from portable devices over Bluetooth. Panasonic’s been busy, then, but to see what else has been announced from the show, be sure to head over to our CES 2014 news hub for all the latest from this year’s show.